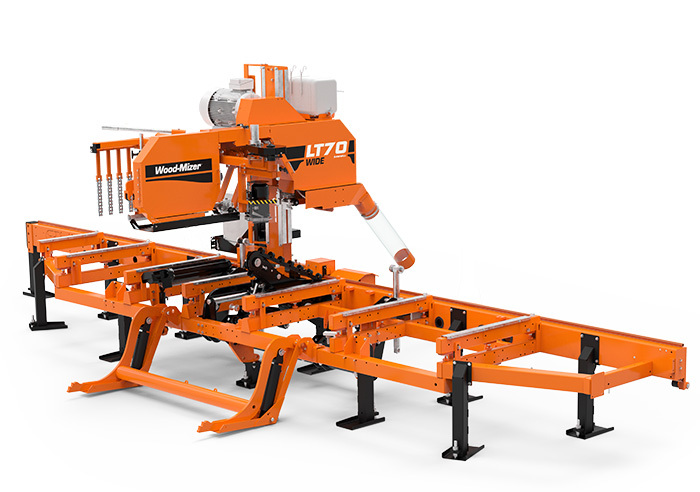 The LT70 Sawmill Series is designed to meet the demands of the modern high production sawmilling enterprise, while incorporating thin-kerf blade technology to increase profits. For sawmillers who need more capacity, the LT70 is available with a WIDE head which allows the sawmill to cut larger logs, wider boards, and wider cants. The LT70 comes standard with belted blade wheels for running 32-38 mm blades, or can be configured with wider crowned cast iron wheels in order to run 50 mm blades. The larger blade wheels and 50 mm blades can be ordered for either the regular head width or the WIDE head. Log handling with the LT70 can be configured for the exact needs of your business – Manual, Hydraulic, or Super Hydraulic log handling configurations are available to match productivity and budget requirements. With the powerful Accuset or PLC computer Setworks, the operator can focus on high quality production and keep the blade in the log more of the time. The high performance LubeMizer blade lubrication system keeps the blade clean and enhances sawing performance. Wood-Mizer’s wide range of affordable blades are designed for all cutting requirements, and deliver maximum log yield and minimal waste of valuable timber. 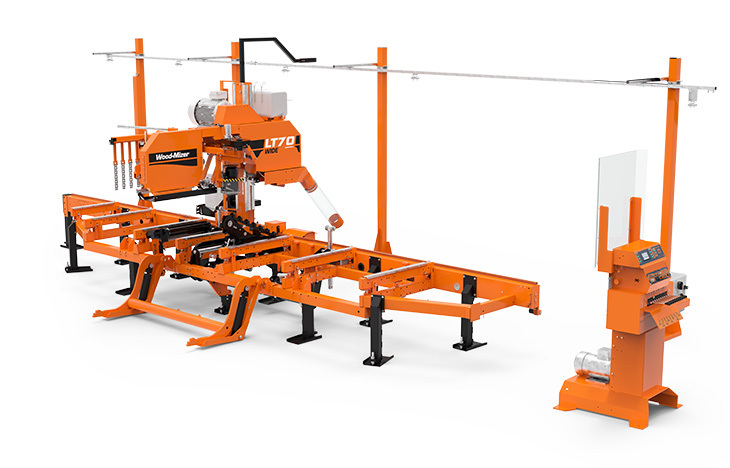 Full mobility for your sawmill can be achieved with the addition of a trailer package. The optional Debarker prolongs blade life by clearing away dirt and rocks from the bark. Various electric and diesel engine options are available. Increases productivity and accuracy using the powerful Setworks to quickly position the head for the next cut with precise dimensions. Airbag blade tension system ensures tension consistency. Pressure pulse lubrication system maximises blade performance. Accurate sawing with maximum blade stability.